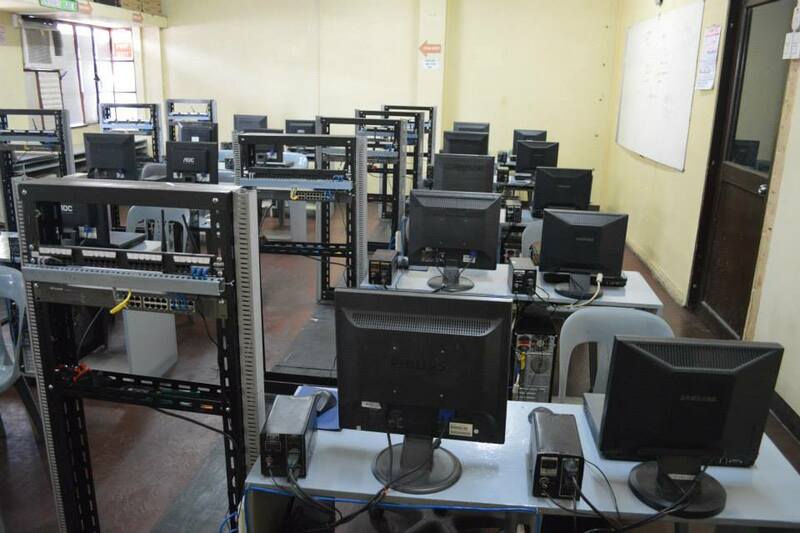 This new course under the TESDA curriculum called, COMPUTER SYSTEM SERVICING(CSS NC II) is the predecessor of the former computer course called, Computer Hardware Servicing(CHS NCII). Through this new curriculum, all the CHS NC2 holder needs to take the exam for this new course. But if you passed now the competencies and competencies of the CHS, you can ask only for the training of the competencies that you have not taken under the CSS NC2 training regulations. Read the below CORE Competencies of this new course. But a reminder to all, this is not a leakage for the exam but this is a part of the Training Regulations (TR). If you wanted to pass the exam, all you need is to check and study. The Base of the competency standards of this course written below. This section gives the details of the contents of the core units of competency required for COMPUTER SYSTEMS SERVICING NC II. UNIT DESCRIPTOR : This unit covers the knowledge, skills and attitudes required to gather, interpret and convey information in response to workplace requirements. UNIT DESCRIPTOR : This unit covers the skills, knowledge and attitudes to identify role and responsibility as a member of a team. 3.4. Contribute to the development of team work plans based on an understanding of team’s role and objectives and individual competencies of the members. UNIT DESCRIPTOR : This unit covers the knowledge, skills and attitudes in promoting career growth and advancement. 2. Set and meet work priorities 2.1 Competing demands are prioritized to achieve personal, team and organizational goals and objectives. UNIT DESCRIPTOR : This unit covers the outcomes required to comply with regulatory and organizational requirements for occupational health and safety. UNIT DESCRIPTOR : This unit covers the knowledge, skills, attitudes and values needed to apply quality standards in the workplace. The unit also includes the application of relevant safety procedures and regulations, organization procedures and customer requirements. 1. Assess quality of received materials 1.1. Work instruction is obtained and work is carried out in accordance with standard operating procedures. 1.2. Received ­­ ­materials are checked against workplace standards and specifications. 1.3. Faulty materials related to work are identified and isolated. 1.4. Faults and any identified causes are recorded and/or reported to the supervisor concerned in accordance with workplace procedures. 1.5. Faulty materials are replaced in accordance with workplace procedures. 2. Assess own work 2.1. Documentation relative to quality within the company is identified and used. 2.2. Completed work is checked against workplace standards relevant to the task undertaken. 2.3. Errors are identified and isolated. 2.4. Information on the quality and other indicators of production performance are recorded in accordance with workplace procedures. 2.5. In cases of deviations from specific quality standards, causes are documented and reported in accordance with the workplace’ s standards operating procedures. 3. Engage in quality improvement 3.1. Process improvement procedures are participated in relative to workplace assignment. 3.2. Work is carried out in accordance with process improvement procedures. 3.3. Performance of operation or quality of product of service to ensure customer satisfaction is monitored. UNIT DESCRIPTOR : This unit covers the knowledge, skills, attitudes and values needed to perform computer operations which include inputting, accessing, producing and transferring data using the appropriate hardware and software. 1. Plan and prepare for task to be taken undertaken 1.1. Requirements of task are determined in accordance with the required output. 1.2. Appropriate hardware and software are selected according to task assigned and required outcome. 1.3. Task is planned to ensure that OH & S guidelines and procedures are followed. 1.4. Client -specific guidelines and procedures are followed. 1.5. Required data security guidelines are applied in accordance with existing procedures. 2. Input data into computer 2.1. Data are entered into the computer using appropriate program/application in accordance with company procedures. 2.2. Accuracy of information is checked and information is saved in accordance with standard operating procedures. 2.3. Inputted data is stored in storage media according to requirements. 2.4. Work is performed within ergonomic guidelines. 3. Access information using computer 3.1. Correct program/application is selected based on job requirements. 3.2. Program/application containing the information required is accessed according to company procedures. 3.3. Desktop icons are correctly selected, opened and closed for navigation purposes. 3.4. Keyboard techniques are carried out in line with OH & S requirements for safe use of keyboards. 4. Produce output/ data using computer system 4.1. Entered data are processed using appropriate software commands. 4.2. Data are printed out as required using computer hardware /peripheral devices in accordance with standard operating procedures. 4.3. Files and data are transferred between compatible systems using computer software, hardware/peripheral devices in accordance with standard operating procedures. 5. Use basic functions of a www-browser to locate information 5.1. Information requirements for internet search are established. 5.3. Search engine is loaded. 5.4. Appropriate search criteria/or URL of site is entered. 5.5. Relevant links are followed to locate required information. 5.6. Useful pages are bookmarked or printed as required. 6. Maintain computer equipment and systems 6.1. Procedures for ensuring security of data, including regular back-ups and virus checks are implemented in accordance with standard operating procedures. 6.2. Basic file maintenance procedures are implemented in line with the standards operating procedures. 2.4. Calculation involving fractions, percentages and mixed numbers are used to complete workplace tasks. 2.6. Instruments are read to the limit of accuracy of the tool. 3.2. Measuring instruments are cleaned before and after using. 3.3. Proper storage of instruments undertaken according to manufacturer’s specifications and standard operating procedures. UNIT DESCRIPTOR : This unit covers the knowledge, skills and attitudes and values needed to prepare/interpret diagrams, engineering abbreviation and drawings, symbols, dimension. 1. Identify different kinds of technical drawings 1.1. Correct technical drawing is selected according to job requirements. 2. Interpret technical drawing 2.1. Components, assemblies or objects are recognized as required. 2.2. Dimensions of the key features of the objects depicted in the drawing are correctly identified. 2.3. Symbols used in the drawing are identified and interpreted correctly. 2.4. Drawing is checked and validated against job requirements or equipment in accordance with standard operating procedures. 3. Prepare/make changes to electrical/electronic schematics and drawings 3.1. Electrical/electronic schematic is drawn and correctly identified. 3.2. Correct drawing is identified, equipment are selected and used in accordance with job requirements. 4. Store technical drawings and equipment /instruments 4.1. Care and maintenance of drawings are undertaken according to company procedures. 4.2. Technical drawings are recorded and inventory is prepared in accordance with company procedures. 4.3. Proper storage of instruments is undertaken according to company procedures. UNIT DESCRIPTOR : This unit covers the knowledge, skills and attitudes on the safe use, handling and maintenance of tools. DESCRIPTON : This unit covers the knowledge, skills and attitudes required to test electronic components. It includes competencies in determining the criteria for testing electronics components, planning an approach for component testing, testing the components and evaluating the testing process. 4.3 Test results/findings are documented for subsequent components testing. UNIT DESCRIPTOR : This unit covers the outcomes required in installing and configuring desktop and workstation computers systems. It consists of competencies to assemble computer hardware, install operating system and drivers for peripherals/devices, and install application software as well as to conduct testing and documentation. 1.5 Basic-input-output-system (BIOS) configuration is performed in accordance with hardware requirements. 2.2 Customized installers are prepared in accordance with software utilization guide and end user agreement. 3.2 Peripherals/devices drivers are installed and configured in accordance with manufacturer’s instructions and/or OS installation procedures. UNIT DESCRIPTOR : This unit covers the outcomes required in setting-up computers networks for LANs and small-office home-office (SOHO) systems. It consists of competencies to install network cables, set network configuration, set router/Wi-Fi/ wireless access point/repeater configuration as well as to inspect and test the configured computer networks. 1 Install network cables 1.1 Cable routes are determined and planned in accordance with network design and actual installation site. 1.9 Excess components and materials are disposed of based on WEEE directives and 3Rs waste management program. 2 Set network configuration 2.1 Network connectivity of each terminal is checked in accordance with network design. 2.2 Any fault or problem in the network system is diagnosed and remedied in line with the standard operating procedures. 2.3 Network interface card (NIC) settings are configured in accordance with network design. 4.2 Computer networks are checked to ensure safe operation. 4.3 Reports are prepared/completed according to company requirements. UNIT DESCRIPTOR : This unit covers the knowledge, skills and attitudes needed to set-up computer servers for LANs and SOHO systems. It consists of competencies to set-up user access and configures network services as well as to perform testing, documentation and pre-deployment procedures. 1.2 User access level is configured based on NOS features and established network access policies/end-user requirements. 1.3 Security check is performed in accordance with established network access policies/end-user requirements. 3.3. Reports are prepared/completed according to enterprise policies and procedures. UNIT DESCRIPTOR : This unit covers the knowledge, skills and attitudes needed to maintain and service computer systems and networks. 1. Plan and prepare for maintenance and repair 1.1. Maintenance and/or Diagnosis of faults is planned and prepared in line with job requirements. 1.3. Materials necessary to complete the work are obtained in accordance with established procedures and checked against job requirements. 1.4. OHS policies and procedures are followed in line with job requirements. 1.5. Computer systems and networks for maintenance are checked against job/service order or instructions and specifications. 2. Maintain computer systems and networks 2.1. Appropriate personal protective equipment is used in line with standard procedures. 2.2. Normal function of computer systems and networks are checked in accordance with manufacturer’s instructions. 2.3. Scheduled/periodic maintenance is performed in accordance with manufacturer’s requirements. 2.4. Where necessary, needed repairs/replacements are made in accordance with established procedures. 3. Diagnose faults of computer systems and networks 3.1. Appropriate personal protective equipment is used in line with standard procedures. 3.2. Faults or problems in the computer systems and networks are diagnosed according to requirements and in line with the standard procedures. 4. Rectify/correct defects in computer systems and networks 4.1. Appropriate personal protective equipment is used in line with standard procedures. 4.4. Unplanned events or conditions are responded to in accordance with established procedures. 5.2. Computer systems and networks are checked/tested to ensure safe operation. 5.5. Excess components and materials are disposed of based on WEEE directives and 3Rs waste management program. These guidelines are set to provide the Technical and Vocational Education and Training (TVET) providers with information and other important requirements to consider when designing training programs for Computer Systems Servicing NC II. This course is designed to develop & enhance the knowledge, skills, & attitudes of a Computer Systems Service Technician, in accordance with industry standards. It covers the basic and common competencies in addition to the core competencies such as to install and configure computers systems, set-up computer networks and servers and to maintain and repair computer systems and networks. 1. Participate in workplace communication 1.1 Obtain and convey workplace information. 1.2 Complete relevant work related documents. 2. Work in a team environment 2.1 Describe and identify team role and responsibility in a team. 3. Practice career professionalism 3.1 Integrate personal objectives with organizational goals. 3.2 Set and meet work priorities. 4. Practice occupational health & safety 4.1 Identify hazards and risks. 1.2. Install operating system and drivers for peripherals/ devices. I say again this is not a leakage of exam, but this is a part of the training regulations of the Computer System Servicing under the new curriculum of TESDA Computer course. All the above information I only picked the important part that we need to practice and study in order to pass this exam. But the entire of this is Training Regulation or (TR). These are the use of the TECHVOC school who are accredited under the TESDA regulations. All we need to do is to study and check whether your skills as Computer Technician is capable to perform the CSS NC2 exam, if not you rather to send yourselves for the training of this course. What server OS is used in the assessment? Hi Jonathan, thank you for your visit here in my site. Actually the server OS use in CSS is windows foundation 2003, but in CHS only winxp and windows 98 before, you can network this either using network switch and peer to peer connection. But in CSS you will use modular cabling, bridge device, PC and laptop. do you have training regarding to this? Actually not, I only pass before the NC2 of PC operations and then the CHS-NC2. But I plan, maybe only I will attend is the structural cabling, 1 COC rather. I got this information through interviewing the assessment center where I plan to train CSS there. Right, its windows server 2008 Griff, where you train in this TESDA course?have you pass the CSS- NC2? Ok Griff but not all assessment center can afford. where that assessment center who use that server 2008?Have you pass this exam? what are the possible questions during the during? Anonymous, all the activities of the exam might you perform during training of CSS, be memorize the parts and functions of the computer including the networks, its connections of the router, repeaters, and AP, also the proper installation of the PC, cables, routers, Ip and windows and server installation and settings. Active directory, DNS, DHCP, File print and sharing, Router, AP, structured cabling. Identify MoBo parts, Identify hardware components, assemble / disassemble computer. Create OS image, create USB installer. will it be on a program/application? or we will configure it directly on the device? and will it be us students who will bring stuffs like the tools and the software's?? It is depends to your assessors, so you need to get ready yourselves before the day of examination. sir good morning just wanna ask question how to take TM? Hi good evening, sorry I can't reply you during morning I'm in work whole day. During evening only I can online. About your questions, how to enroll TM?First of all you need NC2 of particular field of Skills like computer hardware servicing or CSS. Then you need also 2 years experience in teaching those skills. So I were you, if your in Davao, you need to apply as instructor in any schools who offers this courses, like Core Institute of Technology in San Pedro St., Davao. You can ask also the manager of that School Mr. Rey Careño about the TM. thank you for the reply sir ... yes sir im from davao and i have only certificate of compentency ... medyo karaan na sir ug wala pa naku na upgrade akong certificate til now ... can you give me some advice on what to do? 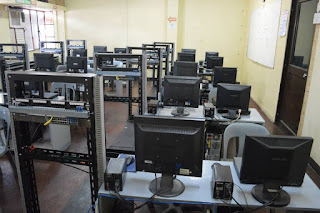 i'm currently working now in rizal memorial colleges as computer technician and my goal someday is to teach ... thank you and have a blessed day. Ok that's good, nice ambition, kibali may NC2 kana ba?Dapat may dapat training ka muna ng assessors methology or AM. Punta ka lang in any tesda office like in tibungco or in Bajada malapit lang sa DOH pangutana lang didto asa ang TESDA. Pwdi rin magtanong sa CORE institute about sa NC2 or for AM at TM training kung ang mga requirements at qualification. can i ask if What color coding will be used in patch panel ?